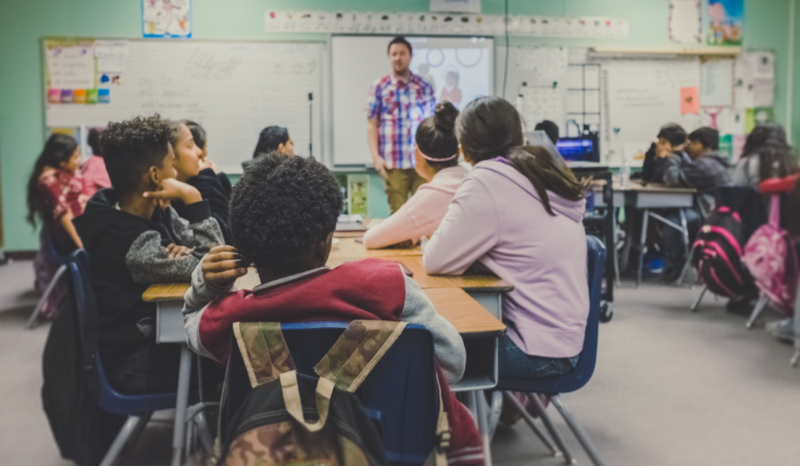 Every day brings a new opportunity to implement a new tool or method into the classroom, and what better way than to have students be able to immerse in a learning experience. Augmented and virtual reality are becoming more commonly used in K-12 classrooms and higher ed for this purpose. With the increased focus on and questions surrounding the use of AR and VR tools, educators and parents may be wondering about the benefits for student learning. In a recent report from Common Sense, 62% of the parents surveyed, stated they believe that VR will provide educational experiences, this same belief was shared by 84% of parents surveyed, who have children already using VR. In the recently published book Learning Transported, author Jaime Donally focuses a chapter on the reasons that these tools should be welcomed into our classrooms. Some reasons include more authentic learning, innovative learning spaces and a means to transform how students are learning. The use of AR and VR is about providing powerful opportunities for students to explore objects or places, in ways that traditional tools such as textbooks and videos cannot provide. It enables students to have more control over how they are learning. It is through these augmented and virtual reality tools and apps that we bring never before possible learning experiences, such as travel and the use of holograms, to students. Students can travel anywhere around the world or outer space even and explore these places more closely, looking at what they want and learning in a more authentic way. It is a truly personalized way to learn and one which serves to engage students more by helping them to drive their learning and exploration. Even more important than having students be able to immerse in learning by interacting with the content, it is of far greater benefit to move students from being simply consumers to being the creators. With the different educational AR and VR tools now available, we not only afford students the possibility of interacting with these objects as they have been, but we create a more engaging opportunity for them to develop the skills that will benefit them in the future. Learning how to create with these different tools and in some cases, being able to collaborate with their peers on projects, will help students to develop critical 21st-century skills. Students will build their ability to problem-solve, to think critically, and to enhance their creativity in the learning process. With so many different apps available, it can be difficult to figure out where to start. As many wind down the school year, this can be a great opportunity to try one of these tools within your classroom. Students learn how to interact with these tools very quickly, it boosts student engagement, which is something that may be decreasing at this time of the year. Here are two tools and how we used them. They each offer many options for classroom use as well as ready-made examples that can be used to get started. As a long-standing fan of technology and the endless possibilities, any time I learn about a new tool, I either immediately create an account and try to figure it out on my own or I learn just enough about it to get my students started working on something. In the last couple of years, I’ve come across CoSpacesEDU and Metaverse. 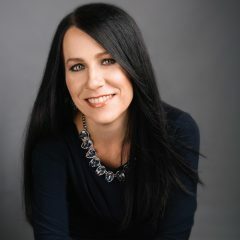 I had no idea what to expect other than knowing I would be able to include unique learning experiences for my students, through the use of augmented and virtual reality tools. So what’s the learning curve with some of these tools? Personally, I am the type of learner who would rather struggle and figure things out on my own first. Only after I have seemingly exhausted all of my efforts, will I then turn to YouTube or the tool’s website for video tutorials, or connect with other educators in a variety of educational communities found on social media. 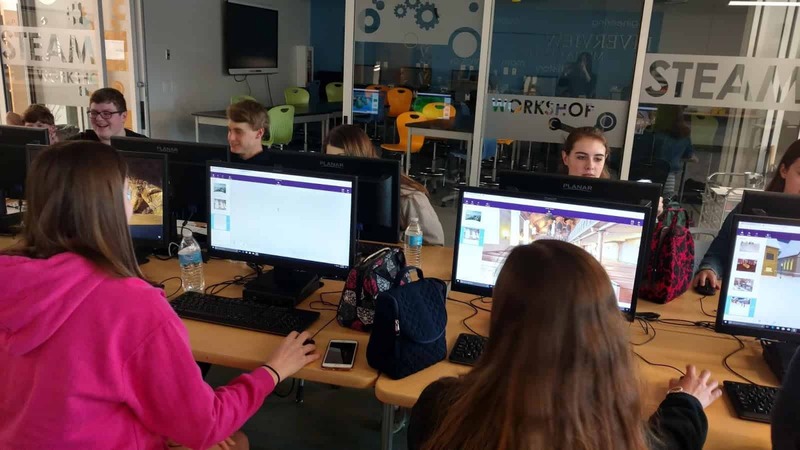 Two years ago, when I started creating with CoSpacesEDU, a virtual reality platform, I was immediately amazed at the possibilities for creating my own virtual reality space. Initially, there was a bit of a learning curve, but I was determined to work through it on my own. The benefit is that by allowing myself to push through the challenges I encountered, it helped me to better understand some areas that might require me to step in and help my students as they created their own space. I wanted to be prepared for their questions, and be able to help some, but not too much, as it is important for students to learn to problem solve and develop these skills on their own. In prior years, students in Spanish II would narrate their childhood by creating a drawing and writing a story below their illustration. Authentic work such as this helps students to connect more to the content and it is a great way for teachers to learn more about students. However, this year, I wanted to take a different approach and decided to try CoSpacesEDU, with my Spanish II classes. I thought it would be a fun way to create a story and then be able to use headsets to walk through the spaces they created. 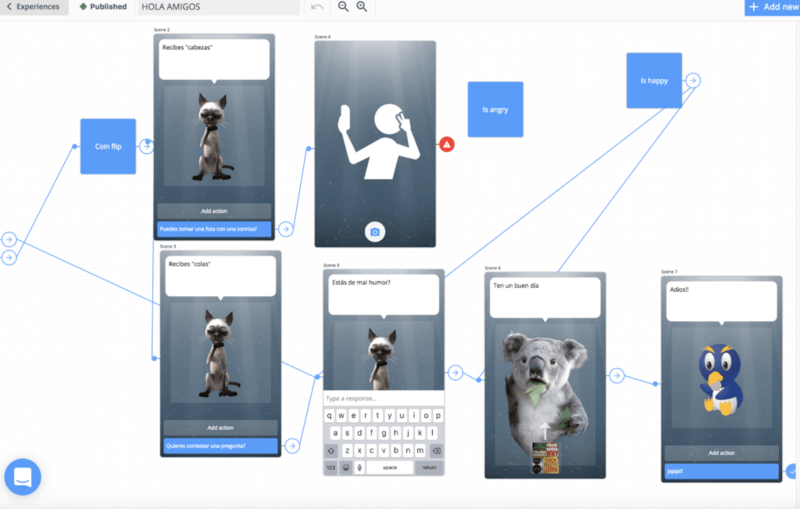 I started by grouping students randomly, having them select from chapter vocabulary cards, and then using the newer “Collaborate” feature of CoSpaces EDU, to have them create their story together. Students can now be placed in groups and collaborate on one project. Students began creating their spaces, adding in objects, animations and sound, using Blockly to code and more. They were amazed at the ability to collaborate in the same space and see objects moving on each of their screens. They worked as a team to create amazing, memorable stories that help them to meaningfully practice the content, narrate a story and have fun while learning. We know that using technology just for the sake of using it does not make sense. However using technology that enables students to create, collaborate, problem-solve and be curious in learning, leads to more motivation and student engagement. It was a risk to do this, but one which had tremendous benefits for all of us “learners” in the classroom. Metaverse enables the user to create an “experience” which includes activities and different features, for augmented and virtual reality. Creating with Metaverse offers students immersive ways to interact with the content. It can be rather simple to get started, as Metaverse has a library full of helpful tutorial videos and they are also available through the chat feature within the platform. 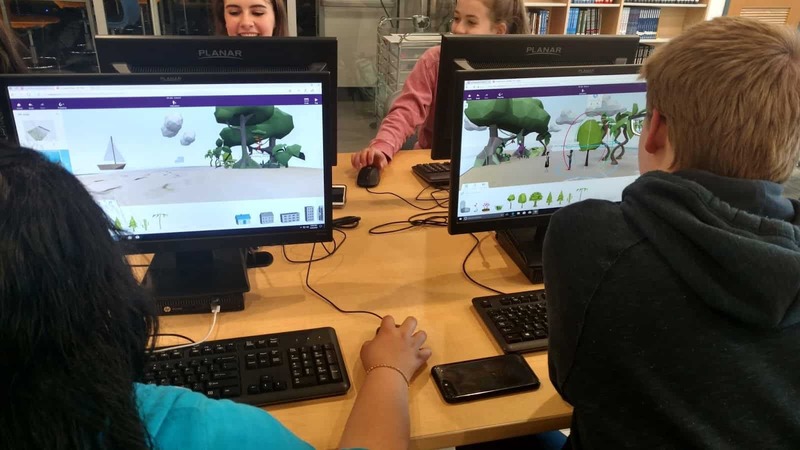 Metaverse can be used to create an immersive, interactive learning “experience”, where students have so many choices in design, libraries full of different characters, GIFS, various objects, 360 images or videos, portals, Google Vision options and more. When we began using Metaverse, I wasn’t sure if students would be able to navigate the platform (the layout is a storyboard). What I found was that students were able to quickly create their own experiences, which led me to ask them to also facilitate in the class and answer any questions that their classmates had. What I noticed was an emergence of “student leaders,” a team of Metaverse creators, 8th-grade students who were sharing their knowledge and excited to do so. How to use it? Have students create a quiz, a fun game, or simply tell a story. I don’t have all of the answers, but I enjoy being able to turn to students for help. I enjoy learning with and from them. Empowering students with the opportunity to share their skills brings about positive changes in the classroom, especially in terms of peer relationships and collaboration. Trying out new technologies shows we are interested in bringing new ideas and ways to learn into our classrooms, which is a good model for students. Want to know more? There are a lot of resources available. I recommend joining in the weekly #ARVRinedu Twitter chat on Wednesday nights at 8 CT/9ET or taking a look at the many resources available on Jaime Donally’s website. One of the most important ways that we can start a new school year is by setting aside time to get to know our students. Not only should we have time to interact with them, but we need to give them time to interact with one another. Relationships are the foundation for so many positives in the classroom. Before all content and getting to the rules and classroom procedures, we have to find a way to start on day one by making this a priority. I truly believe that it needs to be a priority every day after that, because even the slightest interactions matter. When: Some educators may disagree about holding off on the content or putting off the discussion about classroom procedures until another day. We all need to do what works best for our students and for ourselves. So you may choose to start the first day with something different, by focusing on the content and including some of the expectations or responsibilities for the classroom. Even starting with this, I’m sure that most everyone includes time to work on getting to know one another. By being at the door to greet the students as they arrive or making an effort to learn student names, and start to associate who the students are and engage in minor interactions will go a long way. Why: I am very passionate about this now but I wish I could say that I always thought this way. I didn’t. I don’t know how much I valued the power of relationships over the first ten years of my teaching career. Of course I cared about my students and I wanted what was best for them, but I recognize that how I was then and the way I am now are completely different. And I really didn’t start every year the way that I’m suggesting that the year should be started by educators today. I was that teacher who welcomed students into the classroom and then started every class period on the first day, by talking about my classroom expectations and even adding in a little bit about the content material. I would even have students who were entering their second or higher level of the foreign language, write a short paragraph about topics like the summer, a movie they saw, a vacation or really anything they wanted to, so I could use it as a way to assess their skills before starting into the new material. It’s just the way that I had been taught and I thought I needed to start like this, with no learning time lost. Something that bothers me now about myself when I think about this, is that I remember students trying to talk to their classmates about their summers and just being excited to come back to school. I remember trying to get them to just stop and focus on the writing that I wanted them to do. The writing was more important, at least that is the message that I was sending. Thankfully I am no longer that teacher. I just wish I would have changed sooner. No wonder I never really worried about the first day of school, even though I might not sleep too well the night before. Lack of sleep was partially because I was excited and the thought of going back after being on a break, somehow prevented me from sleeping. Why didn’t I worry? Because for me, day one was for going through some of the normal routine activities, those clerical or housekeeping tasks, that I had done every year prior. I never worried about Day One, but I always said I worried more about Day Two because that’s when I really had to start teaching. I’ve changed my mind over the years because I’ve had some challenges, due to questioning my own methods of instruction and why something was not working for a specific class. I also questioned the ways that I handled challenges in terms of classroom management over the years, and finding ways to connect with students. I am continuing to learn and there are days where it can feel like I’m not making any progress in building those relationships. I have to remind myself that I’m trying. That sometimes things don’t happen as fast as we want, it might take days, weeks, months or even longer to notice the impact or to see some kind of a transformation, but we just have to keep moving forward. And we may never really know what it was that made the difference, we just might feel a change one day. How: I wish I had an answer for the question of “how.” What works for one student will often not work for another and it might take you a while to find a way to connect with some students and for them to connect with you. Have you ever tried so hard to connect with that one student, and no matter what you did it just felt like you would never get there? I have. Many times. One time last year I tried everything that I could, and no matter what I tried, it just seemed like I could not find a way to connect. But then I saw a book, one that I had read and enjoyed, and that amazingly just so happened to be a book being read by that student. Had I not seen that book, I might still be thinking about how to bridge some type of connection. So that’s why those slight interactions matter, why we need to be present, visible, leaning in and listening more. We need to really see our students, who they are, and show that we really care. I could offer a few suggestions but they might not be the ones that will work the best for you, your students or even that one student that you’ve been trying to connect with. Over the years I’ve taught, there have been some days where I felt like giving up. Truly, just felt exhausted because no matter what I did, it just did not work. I don’t think I’m alone in feeling this way but I hope that the more that we share our stories, we can help other educators who might be experiencing this same thing. The greatest success I’ve had in making connections, after struggling to find ways to do so, have come about because I stopped trying to think so hard about how to connect. Instead, I just sat down, made time to lean in and listen, and to really talk with a student. That’s not something that I probably would have done 10 years ago. I can only keep moving forward with what I know now. “When we know better, we do better,” as Maya Angelou said, and I definitely know better now.